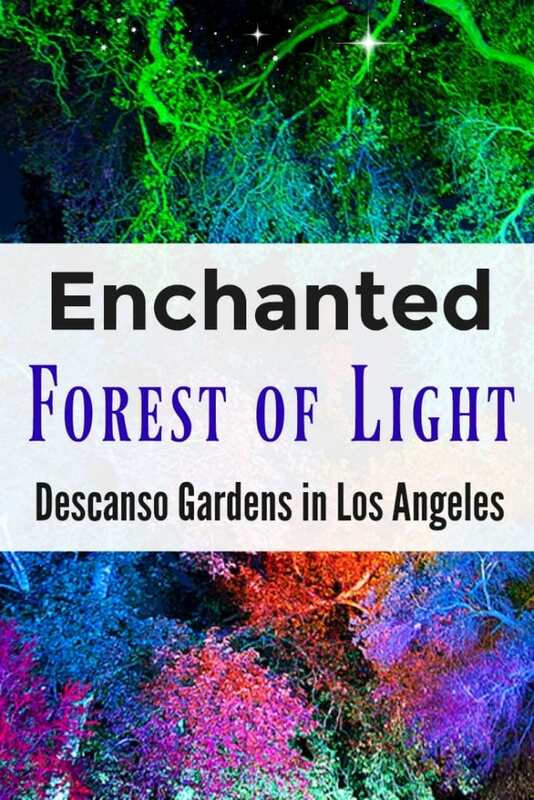 Descanso Gardens, one of my all-time favorite public gardens in Southern California, is hosting Enchanted: Forest of Light from November 18 – January 6. 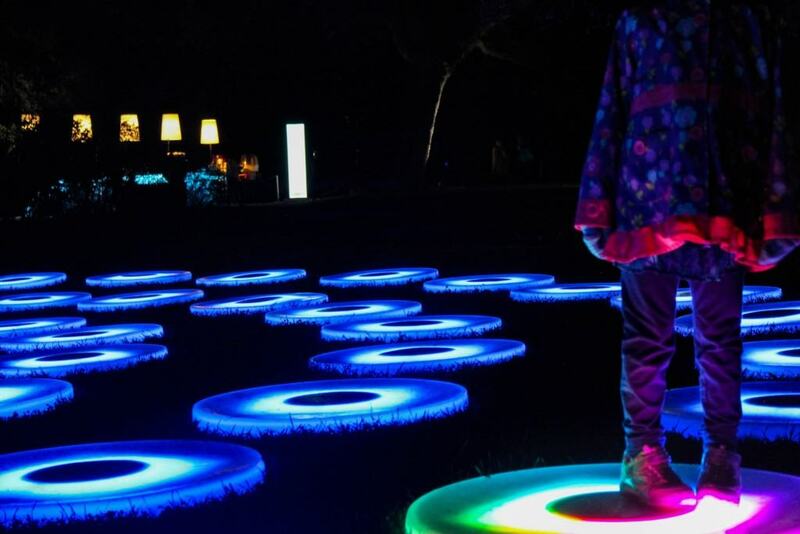 Last year, my family and I had the opportunity to attend a special media preview of Enchanted: Forest of Light before it opened to the general public. The light display was not only enchanting, but truly magical. 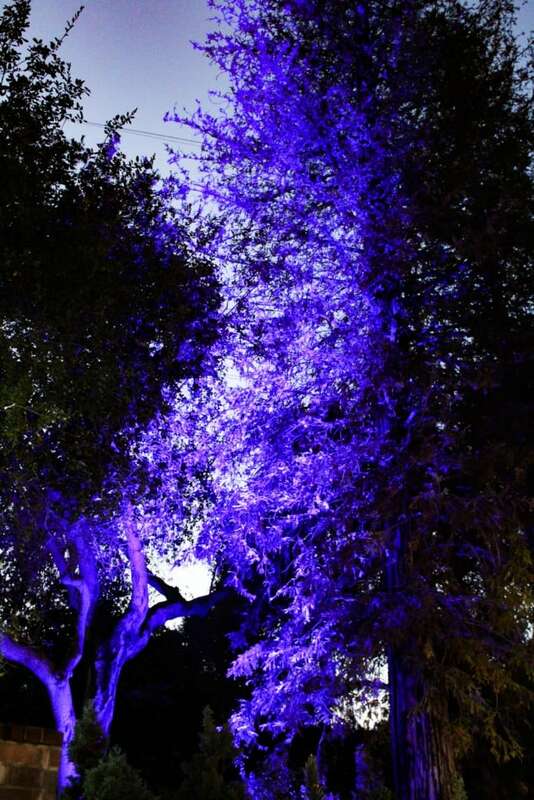 As the sun set, Descanso Gardens was transformed into an Enchanted: Forest of Light right before our very eyes. 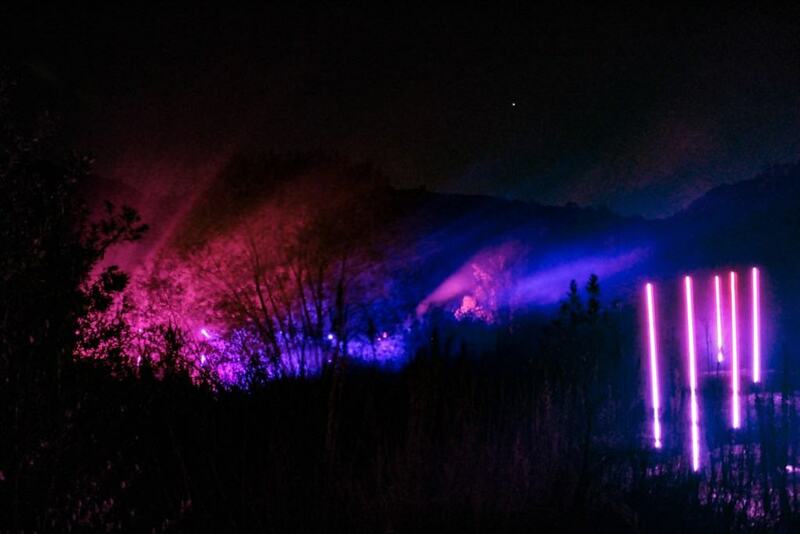 The interactive, nighttime display in its first year, was unlike anything else we had every seen in Los Angeles. It was simply mesmerizing! Some other words that come to mind to describe the light display are captivating, riveting and and amazingly beautiful. Normally during the day, Descanso Gardens is a 160-acre outdoor wonderland, featuring the Camellia Forest and floral displays in the International Rosarium, natural growth in the world-famous Japanese garden and Oak Woodland. 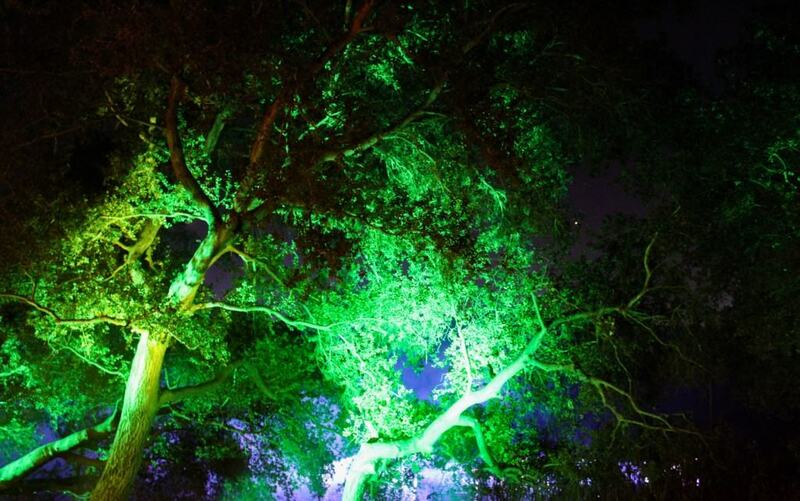 With the Enchanted: Forest of Light, these sights are now even more magical. 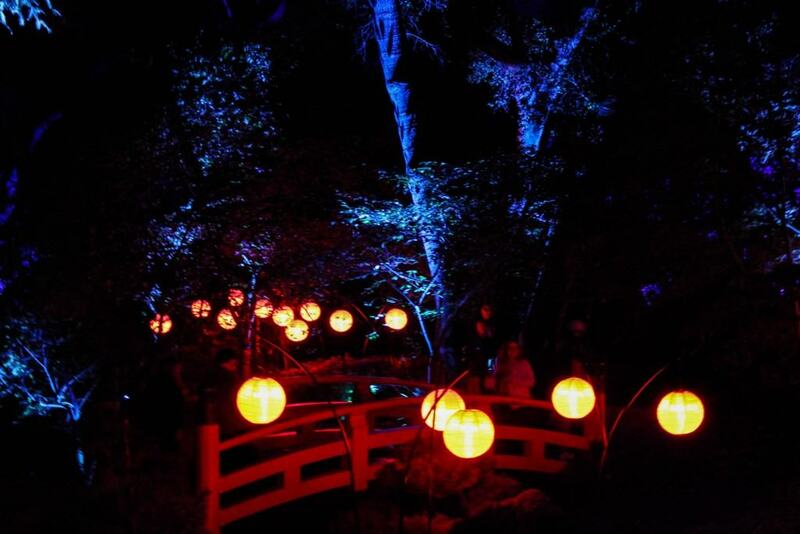 At night, during the one-mile walk, we passed through 8 distinct lighting displays in some of the most beloved areas of the gardens including the Oak Grove and the Camellia Forest. We were given an experience guide / map upon entering, which helped us make our way along the route in numerical order, 1-8. This year there are 10 stations in all. There are also staff members throughout the garden that helped direct us with their flashlights. 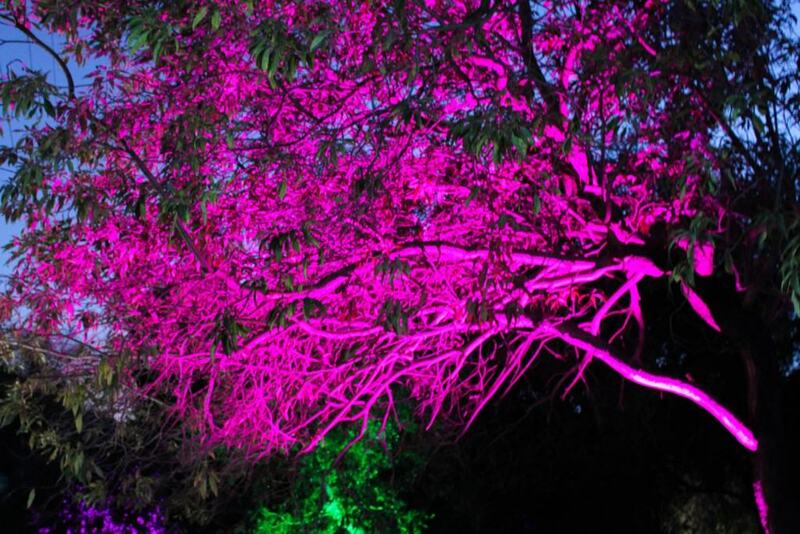 Each section is filled with stunning neon colors and luminous hues that blend in perfectly with nature. From the charming Flower Power display, to the plants and trees in the Fantasy & Ancient Forests, to the Luminous Lawn and then the red lanterns in the Japanese Garden of Good Fortune, I couldn’t get enough of all the sights and sounds. Furthermore, three of the displays are interactive, which allows visitors to manipulate the lights and sounds for themselves. It makes for a fun experience for the entire family. In particular, my kids enjoyed jumping on the “lily pads” as they liked to call them. 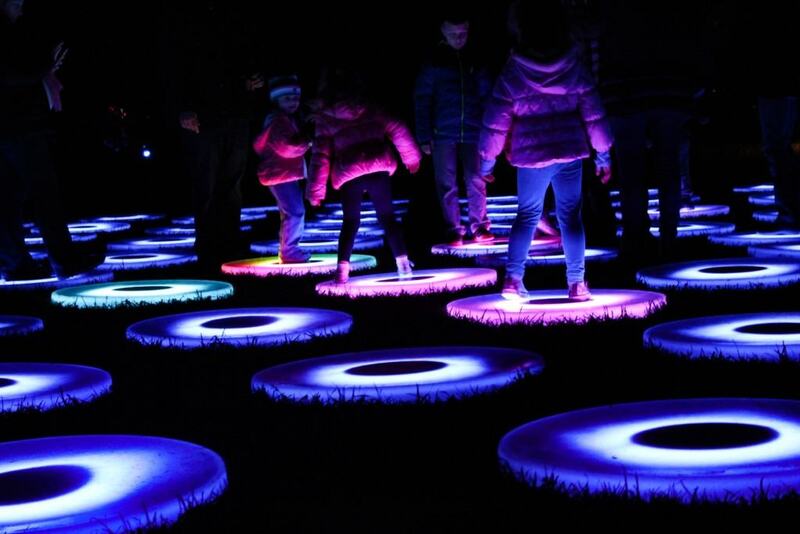 Ever so often, when the lights changed color, my children were enticed to jump to the next pad. It was a nice energy release for them too. 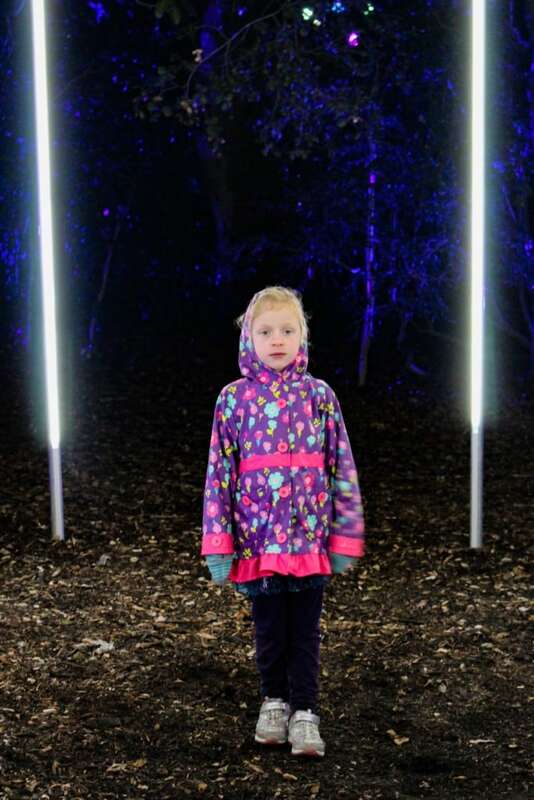 Enchanted: Forest of Light, a multi-generational experience designed to delight all ages, is presented daily from November 18 – January 6. Hours are 5:00 pm to 10:00 pm. 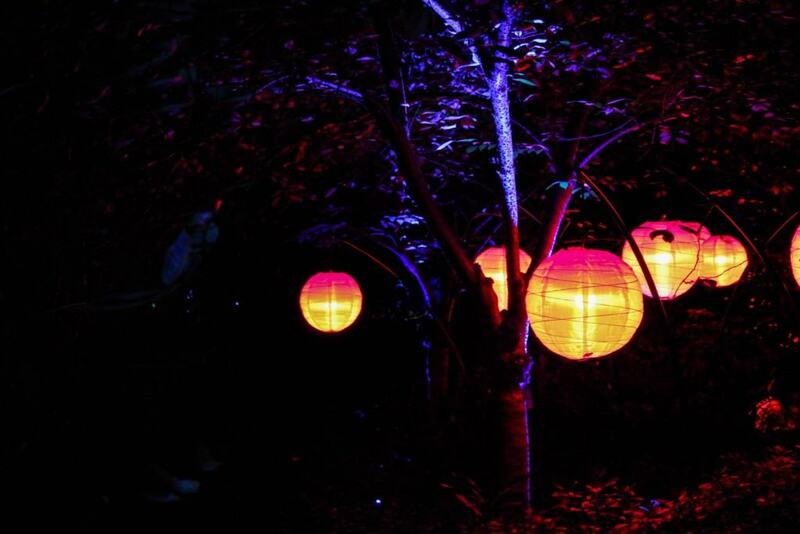 Tickets to Enchanted: Forest of Light are timed and must be purchased in advance. Children 2 and under are free. 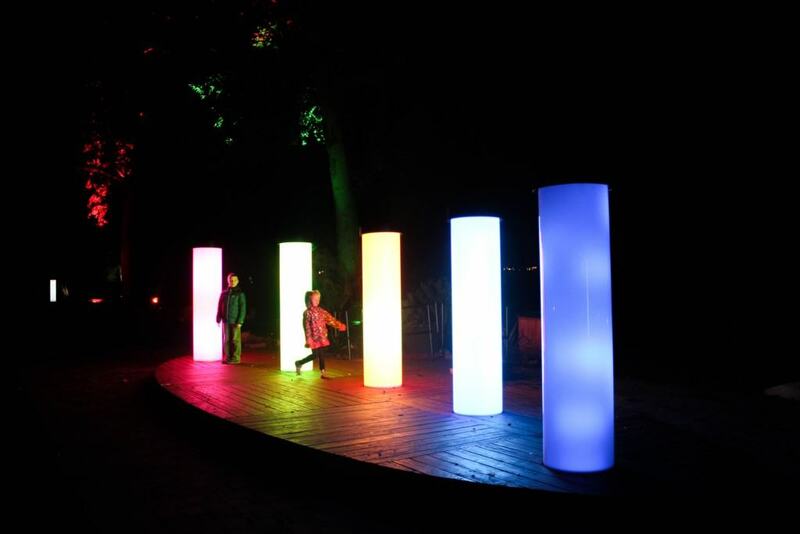 Discount tickets to Enchanted: Forest of Light are currently available on Goldstar.com. Check back often for updates. Enchanted is a rain or shine event. Tickets have timed entry and must be purchased in advance. Allow yourself at least 45 minutes to walk through the entire experience. It took us approximately an hour. The walkway is wheelchair and stroller friendly. The temperature can drop dramatically in the evening, so make sure to dress in warm layers. Descanso Gardens is located at 1418 Descanso Drive, La Cañada Flintridge, CA 91011.